Hey Furry Weekend Atlanta Dealers! Did you know you can advertise on our attendee app? Bring customers to your table and boost sales by letting attendees know you’re here! Our ads post directly to the app’s social feed, and are boosted to the top two additional times a day to snag even more views! Got questions? Want even MORE advertising options? 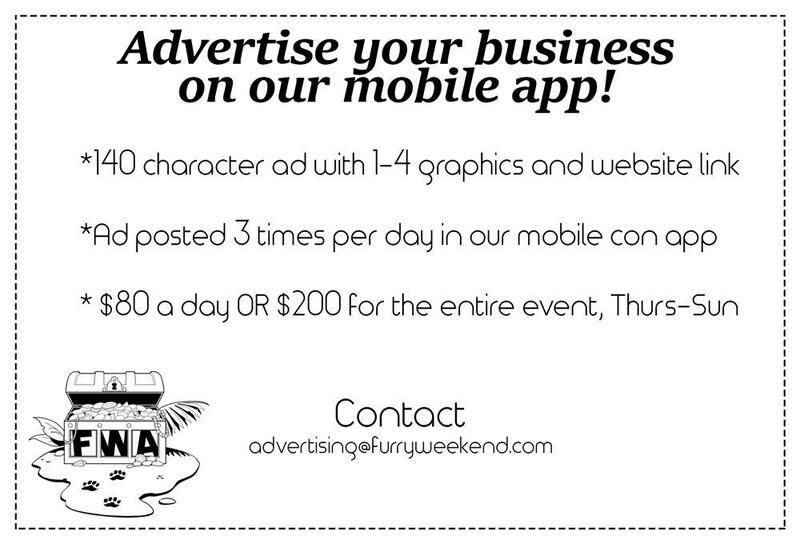 Email Advertising@furryweekend.com today!